The latest craze for the high-flying, celebrated and self-important elite is pizza therapy. It's inventor, Emo Ravioli, once owned a thriving pizza restaurant in Hollywood. Now he makes a fortune tending to the pizzas of the rich and famous, and Hollywood's 'A list' are happy to pay him anything up to $10,000 for a session. 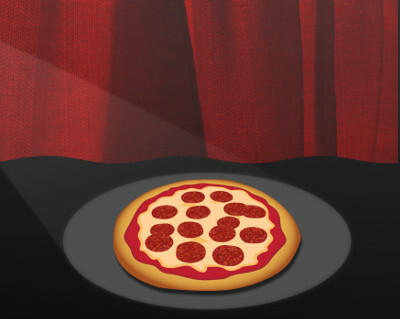 By inspecting a celebrity's favourite pizza, and carefully examining the condition of the peppers or the sweetcorn, Ravioli claims he has a window into the troubled star's soul. Often he can help just by suggesting an alternative topping. Sometimes happiness is only a pineapple chunk away. At other times more radical treatment is necessary and Emo is required to adopt a 'hands on' approach - manipulating anchovies or stroking mushrooms in order to restore the perfect pizza balance. However, not everyone is impressed by his work. One Hollywood starlet, who shall remain nameless, is currently seeking damages against Ravioli, claiming that during one session last October he took advantage of his position of trust and manhandled her pepperoni.